How Many Jelly Beans? is a giant picture book that presents the concept of ONE MILLION. Illustrated by Yancey Labat, it makes big numbers visual and inviting with bright colors and a sweet theme. Winner of the 2013 Cook Prize for the best STEM (Science, Technology, Engineering, and Math) picture book from Bank Street College of Education. "This fresh approach to huge numbers should get kids thinking big time." "An eminently child-friendly exploration of an ever-intriguing subject." "Bright illustrations and sassy text add up to serious fun." "For all our obsessive teaching of the basic digits, children are still mostly fascinated with the really big ones, the millions, zillions and gajillions—something this ingenious jumbo-size book delivers, and delivers in jelly beans. 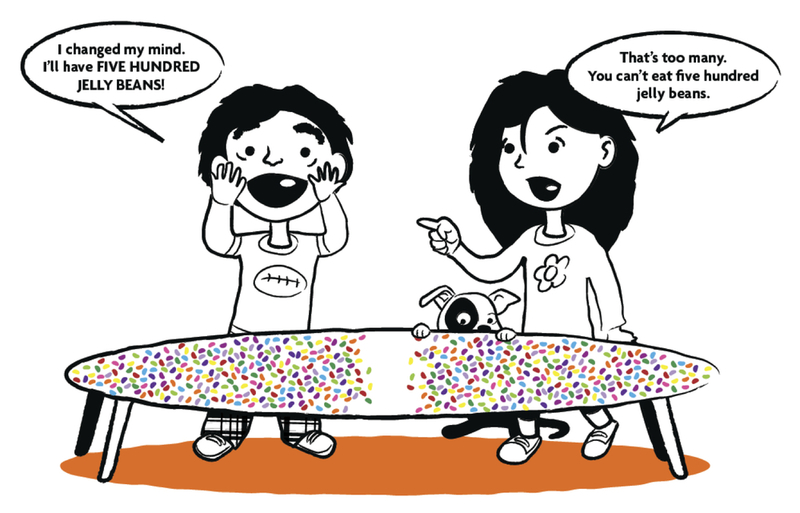 With delectable Jelly Belly colors and shapes, the story unfolds as a 'gimme' contest between Emma and Aiden. 'He can have 20? I’ll have 25!' Emma cries at one point, and matters escalate. 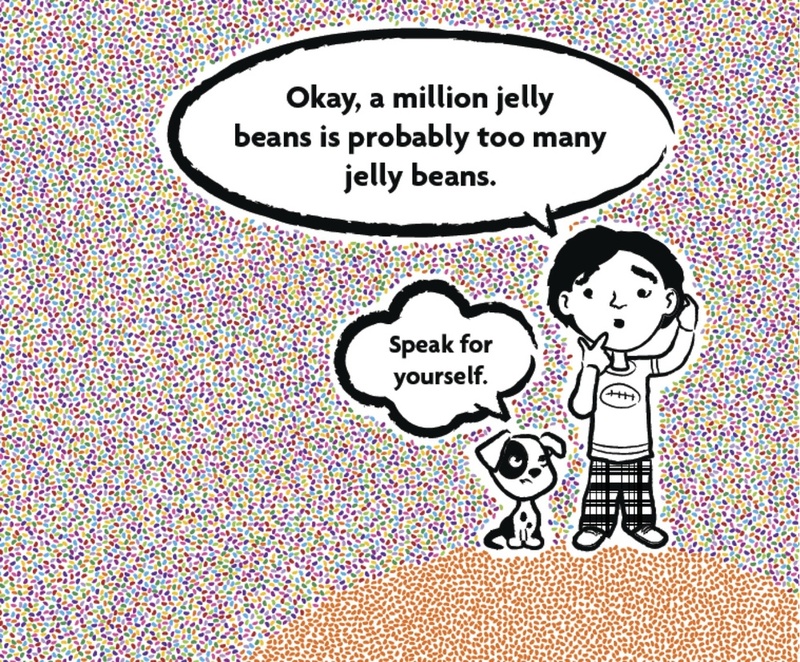 In each picture, the correct number of beans is properly displayed, until a mega-poster foldout of one million jelly beans—a magnificent pointillistic finale that some poor fellow apparently had to fact-check."